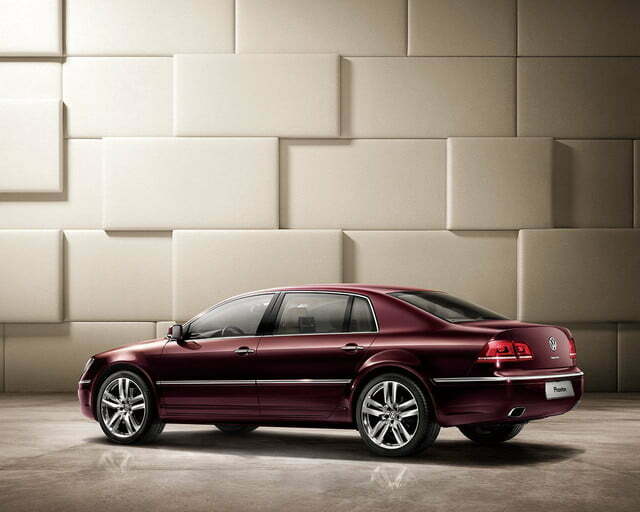 Like the segment-defying Mercedes-Benz R-Class, the Volkswagen Phaeton was axed in the United States due to dismal sales, but it is still a fairly popular model in China. To keep the momentum going until a replacement arrives, Volkswagen’s Chinese division has given the Phaeton one final shot of Botox. 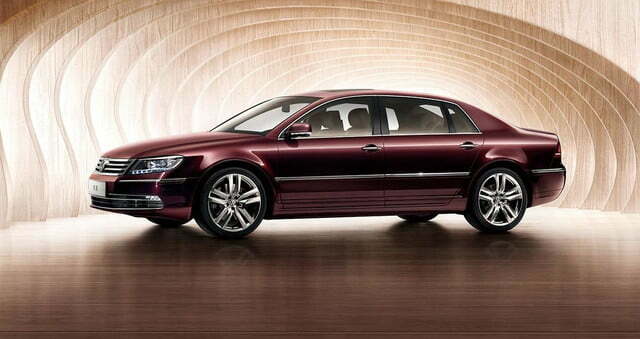 It takes a well-trained eye to tell the updated Phaeton and the outgoing model apart. Most of the updates are found up front, where Volkswagen’s flagship sedan gains new-look bi-xenon headlights with integrated LED daytime running lights, additional chrome trim on the grille and on the lower bumper, as well as LED fog lights. The back end gets redesigned LED tail lamps, while power-folding mirrors and a panoramic sunroof join the list of standard equipment. Inside, the Phaeton benefits from a small forest’s worth of wood trim on the dashboard, the center console, the door panels, and the steering wheel, and from a new Dynaudio sound system. Long-wheelbase models up the ante with a rear-seat entertainment system. Buyers can choose from one of three engines. The entry-level mill is a 3.0-liter V6 tuned to make 246 horsepower and 229 foot-pounds of torque. Next up is a 3.6-liter V6 unit that generates 276 ponies and 273 foot-pounds of twist, while the most powerful engine available is a 4.2-liter V8 that churns out 329 horsepower and 317 foot-pounds of torque. The TDI turbodiesel engine that the Phaeton is available with in Germany can’t be ordered in China, where selling a luxury car powered by an oil-burner is beyond unthinkable. All three engines are linked to a six-speed automatic transmission that sends power to all four wheels via Volkswagen’s 4Motion all-wheel drive system. Equipped with the V8, the Phaeton reaches 62 mph from a stop in 6.9 seconds. 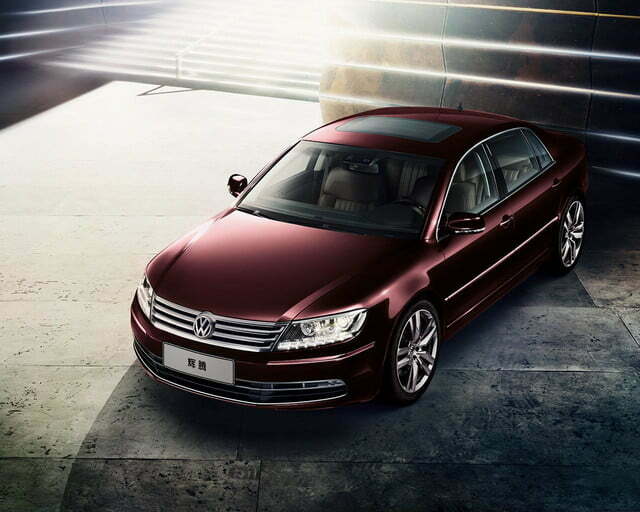 The 2015 Volkswagen Phaeton is on sale now across China. Prices start at 759,200 yuan, a lofty sum that converts to a little over $122,000.